Upload/Import a PDF, Word Doc, or any file format to DocuSign. Place text, date fields, check boxes and your legally binding signature with a simple drag and drop. Return the completed document via email, Dropbox, Evernote, Drive, Box, or OneDrive. Perfect for signing and returning email attachments. No printing, scanning, or faxing required. Access your FREE DocuSign account on the go with DocuSign’s mobile apps. One account, one login that you can access from your desktop, laptop, tablet and smartphone. Sign Documents wherever life takes you! 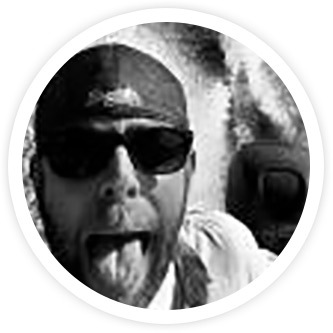 "Easiest document signing app I've ever used. I love how you can take pics of your signature and initials and place them on any document you need. Very cool app!" 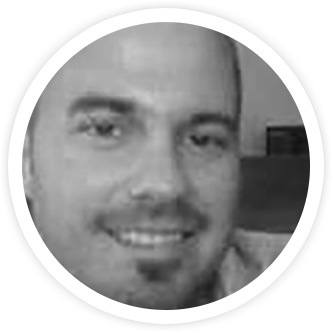 "Invaluable - Great app. Closing on our first home and this app enables me to sign documents while I'm at work. No more need to print the document, sign it, scan it back into the computer and email it. I can do it all from this one app using my phone." Yes, electronic signatures are legally binding in the United States and in many countries around the world. Protecting your data is DocuSign’s top priority — that’s why we offer world-class security and operations. DocuSign’s comprehensive approach to security ensures the confidentiality, integrity, availability, authenticity and enforceability of your DocuSign transactions. What documents can I sign with DocuSign? You can sign any document with DocuSign, including healthcare forms, financial documents, legal agreements, sales contracts, waivers, NDAs, petitions, permission slips, and more. Signing allows you to personally sign a document and return it to the requestor. 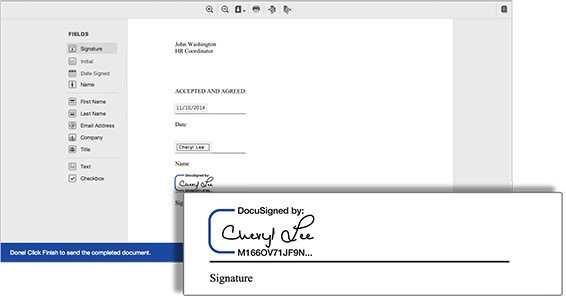 Sending a document for signature allows you to request signatures from others. It is always free to sign document using DocuSign. DocuSign charges users for premium features like requesting signatures from others (3 free signature request are included in with your free account), custom branding, signer authentication, and more. If the document that you need to sign was not sent via DocuSign (e.g., as an email attachment), you will need a free DocuSign account. With this account you are able to upload, sign and send documents online via DocuSign, absolutely free. 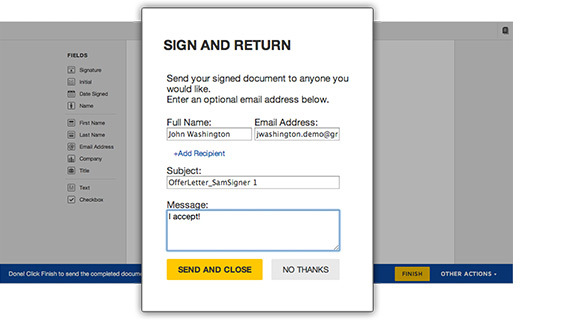 Signing and returning documents is always free but a FREE DocuSign account is required. If the document that you need to sign was sent via DocuSign, you do not need a DocuSign account to sign. Click the “Review Documents” hyperlink in the email and follow the easy prompts. You will have an option at the end to create a free signing account if you wish, but it is entirely optional. Opening a DocuSign account is simple, and we offer a number of different account levels depending on a customer’s needs. A free “Signer” account allows you to sign documents from around the world, free of charge. If you wish to send documents out for signature, DocuSign offers four subscription based account levels with varying capabilities.